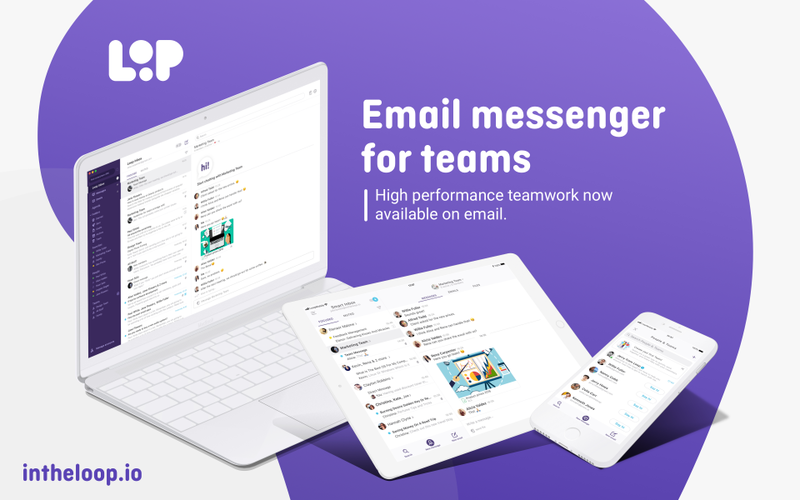 Loop is made for companies, who want to solve how they communicate on email, like customer support and sales-oriented companies. 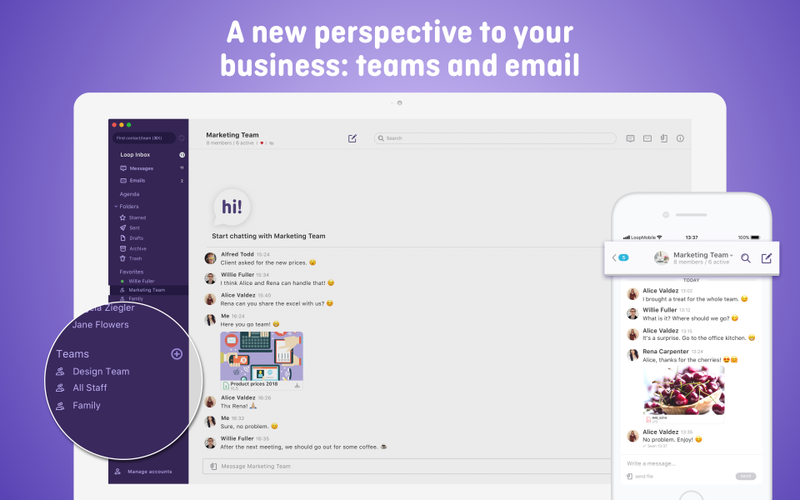 Loop is perfect for small to medium size businesses. 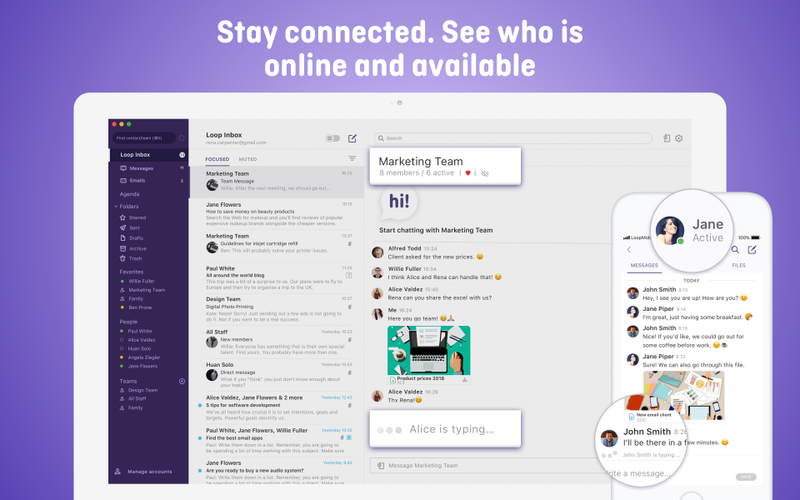 Launched as a major improvement to the modern emailing world, LOOP is the new workplace for people that need to collaborate better on email. An app dreamed by high-flying businesses. 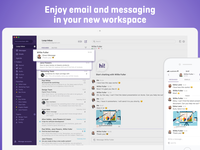 It brings messages, emails and files in one app. 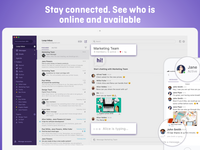 LOOP The Email Messenger Reviews Recently Reviewed! Cons: I create a lot of groups for different purposes and I don't like that I cannot delete a group. I would really like to use Loop on my phone but currently android is not supported, only iOS so I am hoping this will change soon. 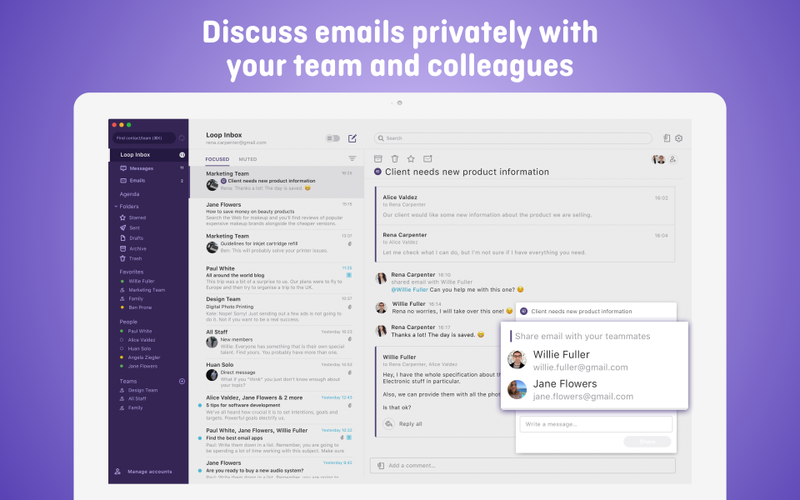 Overall: Overall Loop helps me be more productive with managing emails and communication with people. 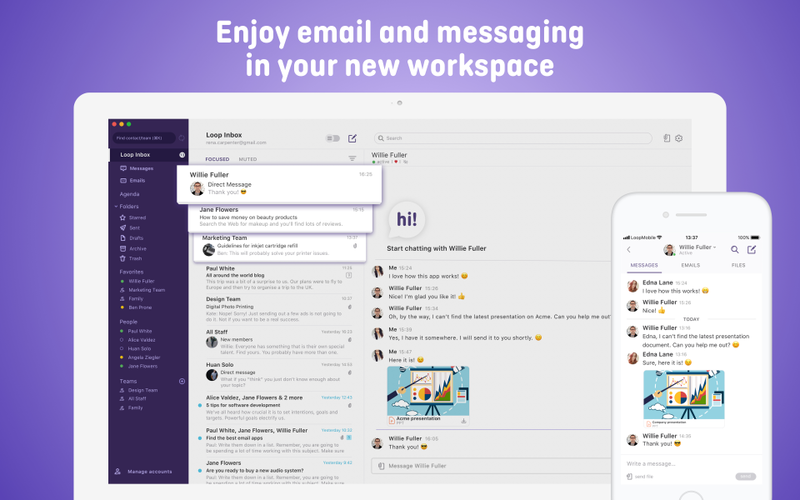 Pros: Easy to use, very clean design, very good support (one the best between the email client apps). Cons: - No integration with calendar. - I can't sync my contactas from Contact macOS app. 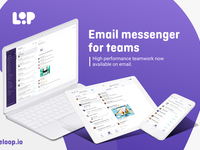 Pros: free version, easy to onboard, surprised by the chat function being a part of email itself, which eases the communication flow. 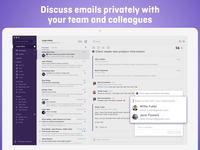 Overall: if working in a team, it comes in really handy, as you can discuss issues or problems in real-time, without waiting for that certain mail to arrive.